Geneva, February 12, 2019 – The high-level conference on South-South cooperation (BAPA+40) will take place on 20-22 March 2019 in Buenos Aires, Argentina. In this context, the ILO and the South Centre will co-host a side event entitled “The Future of Work, Youth Employment and South-South Cooperation. The panel will take place on March 21 from 8.30 to 10.15 am. Speakers shall discuss the contribution of South-South and triangular cooperation to the development of youth employment policies post BAPA+40. 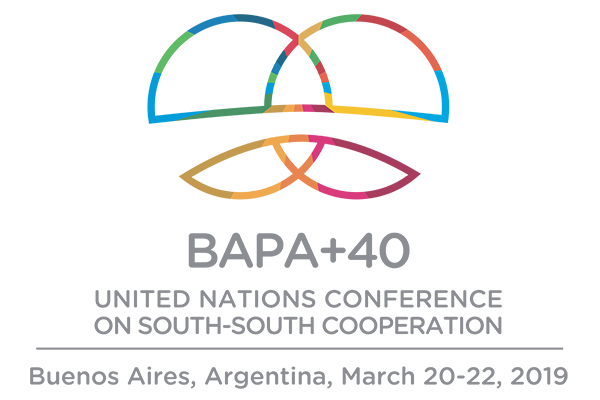 The BAPA+40 Conference will celebrate the fortieth anniversary of the adoption of the Buenos Aires Plan of Action (BAPA), but more importantly it will be an opportunity to assess progress in South-South cooperation in the UN system. This panel will discuss SSTC and the future of work for youth from three angles: policies for skills development, green jobs, and social dialogue. It will also provide recommendations for BAPA + 40 participants on effective integration of South-South and triangular cooperation into Youth Employment Policies. The discussion will take into account the report by the Global Commission on the Future of Work, launched on January 22, 2019 to mark the beginning of ILO’s centenary celebrations. This event is coordinated by the Emerging and Special Partnerships Unit of the Partnerships and Field Support Department of the ILO, with support from the ILO’s relevant technical departments as well as country and regional offices in Latin America and ILO Buenos Aires. Mr. Fabio Bertranou, Director, ILO South Cone will present the good practices on South-South and triangular cooperation. Registration to this side event is mandatory, click <<here>> to register. The Regional Initiative is a prime example of South-South cooperation when it underlines the joint efforts undertaken by countries within various sub-regions of Mercosur, SICA and CARICOM. Furthermore, it is also promoting a horizontal exchange with the African Union in order to promote collaboration in addressing one of the main pending challenges: the mobilization of technical and financial resources for the achievement of target 8.7. In the context of BAPA+40, the ILO will coordinate with a side event to showcase the Regional Initiative as an effective South-South Cooperation instrument to accelerate the achievement progress of eliminating child and forced labour in Latin American and Caribbean countries. The only tripartite UN agency, since 1919 the ILO brings together governments, employers and workers of 187 member states to set labour standards, develop policies and devise programmes promoting decent work for all women and men.